Pumping Septic Tanks And More! 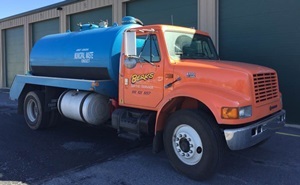 At Scott Bailey's Berks Septic Service we take pride in providing professional, prompt, friendly and affordable septic system services. Pumping septic tanks and holding tanks is just part of what we do. In addition to our pump services, we also perform expert septic inspections, maintain and repair residential septic systems including the installations of risers, and we accurately diagnose the causes of any septic and sewage problems. 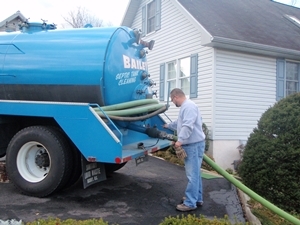 We also work closely with septic officials and sewage enforcement officers to assist homeowners in complying with all local township and Pennsylvania septic management requirements and regulations. Our clients include homeowners, real estate agents and buyers of homes throughout Berks County and parts of Chester, Lancaster, Lehigh, Montgomery and Schuylkill Counties. Note: If your town or community is not listed above, please call us at (610) 621-6197 and ask if we serve the area where you live. 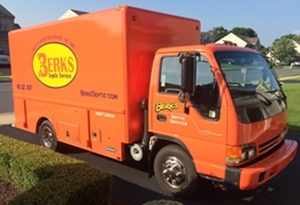 We serve all of Berks County and parts of Chester, Lancaster, Lehigh, Montgomery and Schuylkill Counties. We have coupons right here on our website for septic pumping and inspections - see our Coupons page for printable coupons. We're running a special "Friends and Family" coupon offer right now: get $15 off YOUR pumping and your friend or family member also gets $15 off THEIR pumping when you both place your order on the same day. Just mention the offer when placing the order, and tell us who your friend or family member is. Most businesses will laugh if you ask them to honor a competitor's coupons. Not us! If you have a valid, unexpired septic pumping coupon from one of our local PSMA competitors, we'll honor it! Only one coupon per pumping, and coupon must be mentioned at the time you place your order, and then coupon must be presented to us when we arrive to do your pumping job. 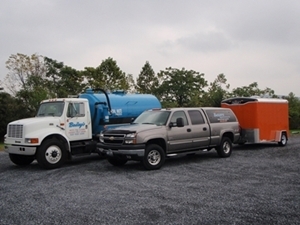 We're qualified to service all of your septic system needs, not just the simple task of pumping your tank. Our goal is to build a strong relationship and earn your trust and confidence. We want to be your total, full service septic system maintenance provider, and we work hard to earn your future septic system needs. Scott A. Bailey, owner and operator of Berks Septic Service and Bailey's Inspection Services, says, "We visually inspect each component of the septic system and educate our customers about their septic system, including providing maintenance recommendations, replacement alternatives and of course, the basic "do and don'ts" of septic systems. Septic Tank Pumping - the most basic of our septic services - pumping and cleaning out septic tanks, holding tanks, cesspools and grease traps. Septic System Inspections - we provide the detailed condition reports that are required in real estate transactions involving property with a septic system. 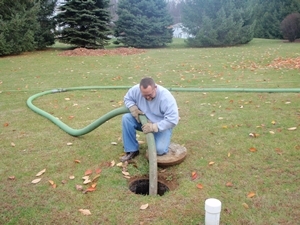 We also conduct maintenance inspections for homeowners who want to know the current condition of their septic system. Septic System Additives - we offer additives such as BioFORCE, the friendly, digesting bacteria you need to keep your system operating smoothly. 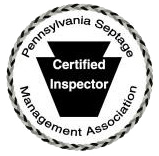 Septic System Maintenance Services - The Department of Environmental Protection recommends ANNUAL inspections of the septic tank, pipes and drain field! We provide homeowners with educational resources for care and maintenance of their system as well as an on-site visit to your home to do a complete inspection of all visual components, then we make recommendations based on what we find. This is the only way to make sure your system is functioning properly! Septic System Warranties - we offer Pro-Sept warranties that protect against the high cost of expensive repair or replacement of a failed septic system. Warranty terms range from 3-5 years and cover new and existing systems...for less than 55 cents a day you could be covered up to $25,000.00. 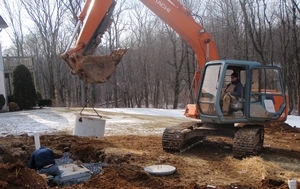 Septic System Repairs - No matter how big or small, or major or minor, your septic system problems are, we can take care of them. We use a video inspection camera and a locating device to find and view any type of clog or pipe problems, and we can accurately locate almost any underground system component. 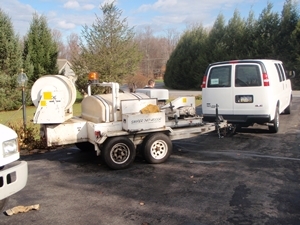 We also have high pressure jetting equipment to clean pipes and laterals in your septic system.. 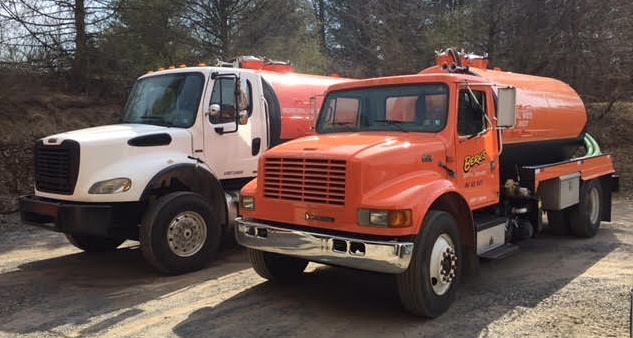 If you have any questions or would like to schedule any of our septic services or order any of our septic products, call us today! This page was last revised on May 01, 2018 at 9:15 AM. Pardon this interruption of your visit to our website, but we wanted to make sure you know about our coupons! We've got several coupons right here on our website, plus we also honor competitor coupons! Need a pumping coupon? See our Coupon pages under the Pumping tab. And if you need an inspection coupon, see the Coupon page under the Inspection tab. Right now we're running a special "Friends and Family" offer: no coupon is necessary! You get $15 off YOUR pumping and your friend or family member also gets $15 off THEIR pumping when you both place your order on the same day. Just mention the offer when you call us to place your order, and tell us who your friend or family member is. And remember, delivery is always FREE when you order Bio-Force additives with your pumping order - we'll bring Bio-Force and haul away the content of your septic tank!